We're in the pumpkin-y home stretch! Only k-cups left! I kind of went a little crazy at the Home Goods in Moorestown and bought three seasonal coffees. That might not seem like much to avid coffee drinkers, but I rarely drink the stuff. It's not that I dislike coffee, I make a pot whenever I have company, or when my coffee addicted boyfriend is over, but I am not in the habit of drinking it alone. That being the case, these bags are going to last me a while. I don't know if my coffee maker is on it's way out or something, but I have been having a problem with my coffee being really bitter, so I brewed this twice using different directions. I made one batch using the package's instructions, which was 2 scoops per each 6 oz of water, and another where I used two scoops with 12 oz of water. The batch that was made using the bag's directions (2 scoops per each 6 oz of water) was really intense. 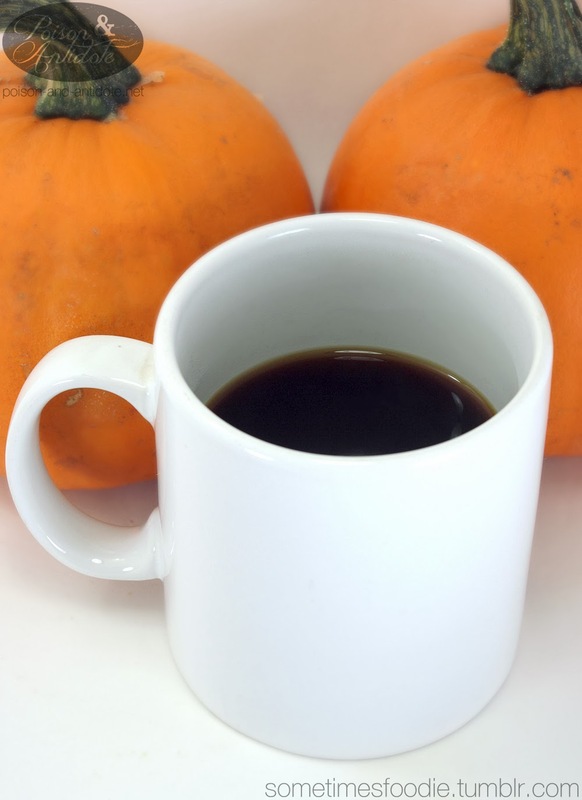 When the pot had finished brewing the coffee was a really dark, almost black, color and it had a fairly strong pumpkin spiced aroma. I knew this was going to be too strong for my tastes, but I took a sip anyway. (I did it for science!) This batch was really bitter and strong, just like I expected. 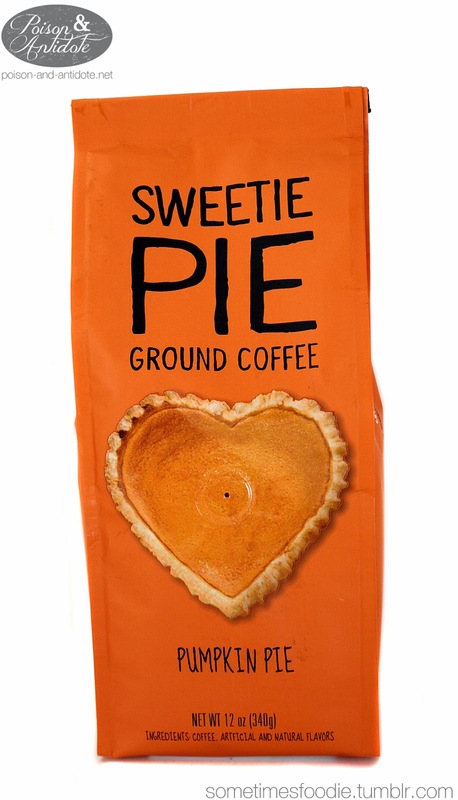 At first it has this intense dark roast flavor, but it leaves a really strong pumpkin spice after taste. I was pretty impressed by the intensity of the flavors, but this is way too strong for me. I would use shots of this in my drinks like an espresso. For the next batch I tried to use more water and less coffee. (2 scoops per 12oz) When brewed, it was still a really dark color and it had the same intense aroma as the first batch, but it tasted a bit smoother. There wasn't an extreme difference in the two pots of coffee, but it was slightly less bitter. On a Pumpkin Scale of 1-5 (5 being the most pumpkin-y) I’d give this a 3. Once you get past the intense dark roasted flavor, this coffee has a nice pumpkin spice aftertaste. This would be amazing in a pumpkin spiced latte, but as a coffee, the roast is too intense (for me).